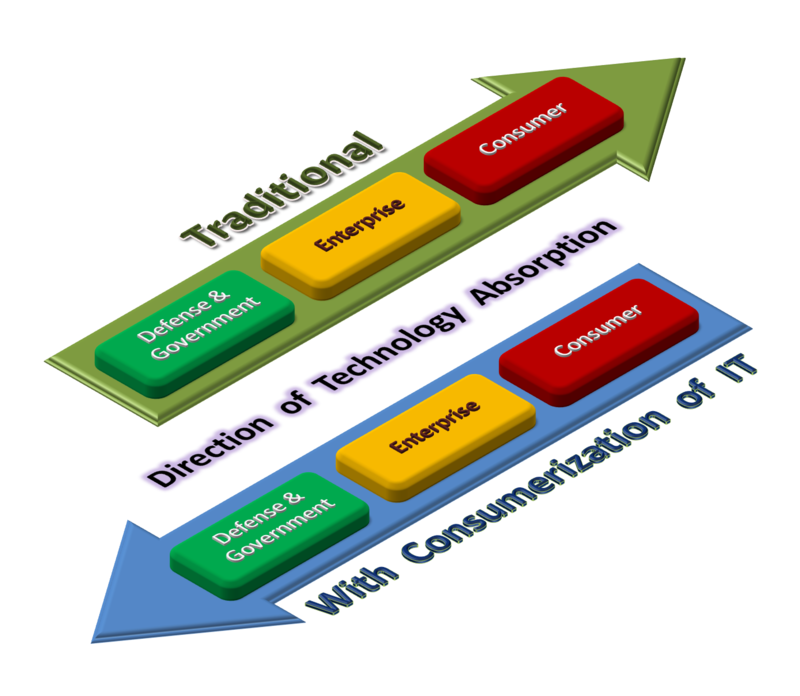 If you are unfamiliar with the term “Consumerization of IT” or CoIT then you may think that it means “IT has become a consumer product”. But, that is not the current accepted interpretation of the term. Traditionally, adoption of Information Technology used to start with defense & government followed by the business enterprise. Those technologies used to be sold in low volume and high cost. Only over a period of time cost used to come down making it affordable for the individual consumer to adopt such technologies. Now we see that the trend seem to have reversed. Many of the latest technologies get adopted by the individual consumer first to be followed by business enterprise, defense and government. This trend – this change in direction of technology absorption – is called Consumerization of IT. As usual, the answer is “it depends” … it depends on what you do! If you are a typical “knowledge worker” not directly involved with IT then you might see this as an opportunity to use your favorite devices and tools in your workplace. If you are involved in running the IT setup you will see this as a big headache. If you are a forward looking manager you may look at this as the lever for collaboration and productivity improvement. And, if like me, you are involved in technology management then you should be concerned as you may have to discard all the existing theory of technology lifecycle management. Why is IT concerned about CoIT? It is about loss of control and unpredictability. Security concern: With more types of devices, with more services hosted in the cloud, with more mechanism of exchanging information you create more opportunity for hackers and intruders. This is especially true if your organization has to comply with mandatory regulations – on data security, on access control, on network security and many more. Even the laws are less clear on information transmitted through employee accounts and social networks, even when at work. Device proliferation: However, the impact is not limited to security concern. There is a bigger challenge of making all the services available in the variety of devices which may be in use by your customers, and your employees. Traditionally, IT could make plans to systematically roll out a new type of device, new version of OS, new version of software like browser so it can be ensured that all the services work properly. There could be a delay of months even years before you upgrade. With CoIT you do not have the luxury. Increasing and variability of transaction load: When mobile apps are in the hands of external parties, it’s hard to know when they’ll be moved to interact with you. Applications cannot have downtime in this world, only varying levels of use around the clock. Not only does the availability of mobile make your user population’s use profiles more variable, you’re now subject to their use profiles, and that can drive enormous traffic to your systems. Think about these problems … you may have more sympathy for your IT department and the restrictions put by them! What we have discussed so far is really scratching the surface of CoIT. It is a manifestation of a fundamental change that is sweeping us. Why is it happening now – what has really changed? Why did I mention earlier that we may have to discard all the existing theory of technology lifecycle management? 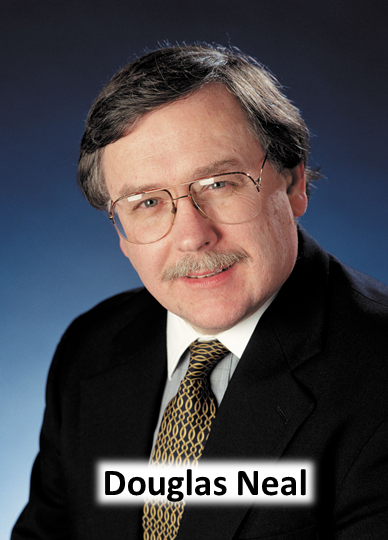 Are the traditional technology adoption models still valid? What does an Enterprise need to do to be on top of CoIT? Next >> Why is Consumerization of IT happening now? ← TOGAF 9.1 Released – What does it mean to you?